or do I need Damage Recovery? is Gold Strength good enough? or should I pay for Platinum? does Anti-Breakage prevent a part of my body from being broken? 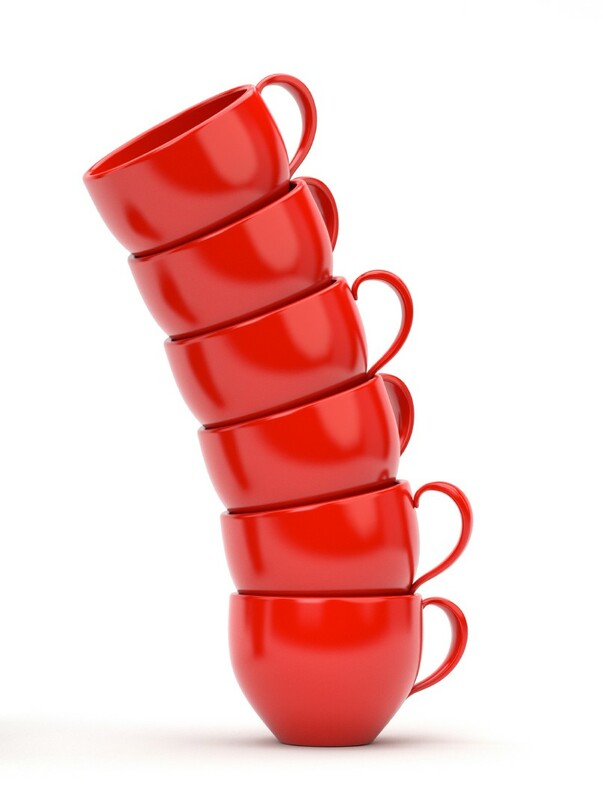 Maybe I’ve got this wrong–More Volume! bottle with every answer printed on the label. For only $4.95 I can buy a Fresh Start. This way to your exam, please, through this door. You have an obligation to make every effort. Lift yourself from whatever floor you have fallen into. Check twice for your keys. Buckle up, buttercup. There is no return trip. If you were to make an acronym from the first letters of the title, it would spell LAFF. And that’s what you’ll do as you read this book—laugh. Especially if you’ve been married for more than, oh, 24 hours. It’s no wonder the book is often funny. If you’ve seen Carey and Dena Dyer perform, they bring down the house. They can also make you tear up, as when they sing a duet (my favorite is when they do Roy Orbison’s “Crying”). “If marriage is a font, then ours is Wingdings. We’ve tried being something more respectable, like Times New Roman or Courier, but alas, some couples are destined for weirdness. 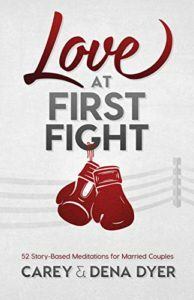 Love at First Fight is a set of 52 devotionals divided into five sections: “Coming Out Swinging,” “Treating Our Wounds,” “Retreating to Our Corners,” “Needing a Referee,” and “Still Standing.” The story-based meditations are each only a couple of pages long and include a Bible verse, He Says and She Says, a prayer, questions for discussion, and a quote from someone married considerably longer than 24 hours. John and I started reading through the book together. After 24 years of marriage we’ve seen each other change in response to events we could never have imagined when we were newlyweds. 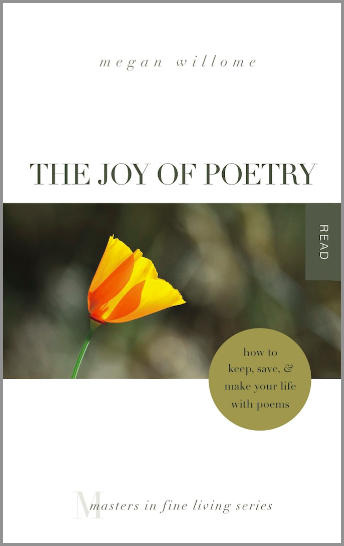 We’ve also grown closer through those times and become more like each other—I can often enjoy college football now, and John doesn’t mind poetry so much. One question in the book that I liked was “How did you make it through?” Now that we’ve made it through a few things, as the Dyers have, it gives us hope that maybe we can make it through whatever comes next. Because now we know that there is always a next.